In our efforts to be the best parent we can be, and out of our great love for our child, we want to give them everything we can, so long as it’s not dangerous or destructive. 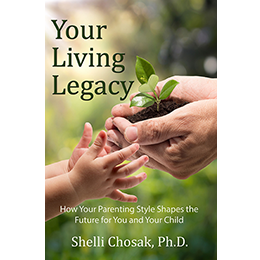 We bring to our parenting certain assumptions we have inherited or developed. These assumptions form the basis for many choices we make about what’s best for our child. For example, the assumption is often made that in the dictionary, next to the definition of “good mother” is the word “overprotective.” It’s an appealing definition, because it allows us to shower our child with all the love in our hearts, and at the same time, helps us soothe our own fears that we can somehow make sure our child will never get hurt—physically or emotionally. That protective instinct is natural when you feel responsible for the health and welfare of this small, helpless human being. It’s often hard to evaluate what and how much is truly helpful for your child, the instinct to protect is so strong. Have you ever stopped to think about what the effects are on your child of your loving, overprotective actions? In my experience as a therapist, and backed up by several studies I have read, children who are overprotective can fare worse than children who are neglected. 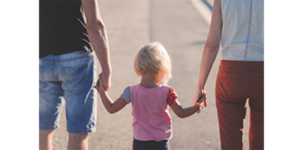 Here’s the logic: the overprotected child often doesn’t learn the life and coping skills they will need to function as effectively as they can in the world. The child who is neglected certainly suffers from not getting the love or attention they need. However, they often learn a “sink or swim” mentality. The ones who “sink” don’t do well, and will likely feel like victims, become depressed or develop other psychological problems. Some of them survive by trading on their victim position, and get others to do things for them. The ones who “swim” learn early that they have to make things happen for themselves, and can go on to become successful adults—they have been forced to learn coping skills. Setting boundaries for your child helps them to learn the coping skills they need—the earlier the better, within reason. And, when you set boundaries for your child, you are making their world feel safe. They learn what is okay to experiment with and what isn’t. They are able to learn the consequences of their actions in an environment that is safe. You’re not going to let them walk off the edge of a cliff, but you will allow them to get close enough to the edge to enable them to enjoy the view. You are developing a level of trust with your child that is valuable to them. Not only does setting boundaries for your child help them, it helps you as a parent. It helps you clarify your perspective as well as theirs. It saves you considerable time and energy, avoiding having to deal the consequences of their unhealthy or unacceptable behaviors. And, you will feel stronger and more sure of yourself, while you are gaining the trust and respect of your child. 1. How and when do I set boundaries with my children? 2. What do I notice about their response? 3. What stops me or helps me to set boundaries with my children? 4. How and when do I set boundaries with others? 5. What makes it easier or more difficult for me to set boundaries? 6. What would I like to change about setting boundaries?